Advocate Koren is the founding partner of Gideon Koren & Co., a highly appraised attorney active in diverse fields of practice, with experience of over twenty years in legal representation and advising hundreds of companies, projects, international institutions, and representing prominent and precedential cases before Israeli courts. Advocate Koren serves as legal advisor for many local and foreign companies and for businessmen working in Israel and abroad on matters concerning their business and commercial activities. As part of his services, Advocate Koren is also responsible for representing his clients on legal procedures and contacting regulators and various relevant government authorities on their behalf. In addition to his in-depth legal knowledge, Advocate Koren is known for having considerable life and business experience and extensive litigation skills and knowledge, and for being an authority on procedural law. 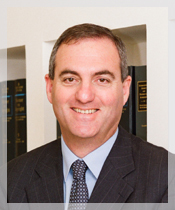 Advocate Gideon Koren has been practicing arbitration for many years. Inter alia, he served as lecturer on arbitration in the Hebrew University of Jerusalem, and he is the author of a comprehensive chapter regarding the Israeli arbitration law, published in ‘Israeli Business Law, an Essential Guide’ published by Klewer Law International. Hence, Advocate Koren is frequently asked to serve as an arbitrator by many corporations, organizations and private businessmen, and he has officiated as an arbitrator in many commercial arbitrations, including high profile and well known cases. Advocate Koren holds an LL.B degree and an LL.M degree (with honors), both from the Hebrew University of Jerusalem, and is a member of the Israel Bar Association. He has completed his internship for Judge Gabriel Bach at the Israel Supreme Court. Throughout the years, Advocate Koren has served as an adjunct professor on various subjects at the Hebrew University of Jerusalem, the Tel Aviv University, the Academy of Arts and Design “Bezalel”, and in professional conventions and forums. Today, Advocate Koren is an adjunct lecturer at the Israel Institute of Technology “Technion”. Furthermore, Advocate Koren is the author of a chapter on the Israeli labor law, published in a book on labor law around the world as part of the international series of books published by Globe Law & Business. (1) Communications law – Advocate Koren is legal advisor to one of the leading, most well known Israeli television and production companies, and deals with all legal aspects of commercial television broadcasts, cable, satellite and radio broadcasts, and of internet contents. Advocate Koren is the Israeli delegate in IFLA (International Format Lawyers Association), an organization unifying lawyers who specialize in legal issues concerning television and intellectual property, and working to ensure the protection of various television formats. (2) Inheritance law – Advocate Koren holds a unique specialty in this sensitive and discreet matter, especially in dealing with multinational estate. The world is rapidly becoming a small global village; however, this very welcome globalization is often the cause of complex legal problems in planning inheritances and in formulating wills. Today, a growing part of estates in Israel involves international aspects. Wills which do not consider these international complications could result in a division of property in a manner not intended by the testator, or worse, in non-compliance with the testator’s last will. Advocate Koren has a wealth of professional experience in this field and he accompanies the firm’s clients and provides them with creative solutions for planning their estates. Advocate Koren was selected by the International CityWealth Magazine as one of the leading lawyers in Israel in this field. (3) Preserving buildings and sites – Advocate Koren is the legal advisor to the Society for Preservation of Israel Heritage Sites – the main Israeli institution engaged with the preservation and legal protection of historical structures. Another expression of the significance of this matter to Advocate Gideon Koren is his voluntary position as the chairman of the Israeli national committee of ICOMOS – International Counsel on Monuments and Sites, an association advising UNESCO on matters regarding the inclusion of sites in the World Heritage List. Among other duties, Advocate Koren acts as Israel’s representative on the executive committee of the international ICOMOS association, and is the chairman of the ICOMOS International Committee on Legal, Administrative & Financial Issues (ICLAFI). Advocate Koren is fluent in Hebrew, English and German.